Small business owner of all things equestrian for horse and rider. Looking for new shirts to add to product line that are separate from anything else in shop. 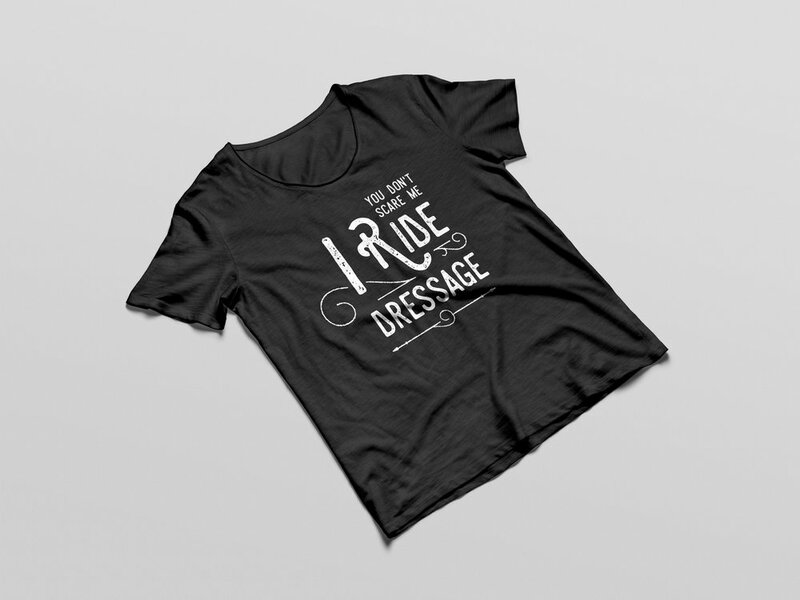 Sticking to the equestrian look and feel of the brand with simple graphics. This was a collaborative project to promote and brand a local hairstylist focusing on high fashion. Creating a logo lockup to be applied over imagery. The hairstylist saw themselves as a hair artist- Reflecting to the DaVinci aspect. Also using the tag line: "Get HD" reflects to how one looks and feels after being transformed. Hairstylist looking for an elegant business card to broaden clientele with variety of options. Designer looking for a business card to match person style and feel. Has a strong love for nature and traditional art as well. This card combines hand drawn illustration with watercolor accents. Created a collection of social media posts for a small mens boutique. Look and feel is good vibes and Cali vibes.